Very large family home with a multi purpose use! Live in any unit of this house and generate income from the rest of it! Upper and lower handicap accessibility including over the top bathrooms with a hoist, walk in showers and a walk in re tub. Upper unit is all new. Much of the work was completed in 2018 to include wiring, plumbing, HVAC, har wired smoke system, flooring, cabinets, paint, bathroom fixtures, etc. Main floor laundry, chair lift to upstairs and an attached garage. 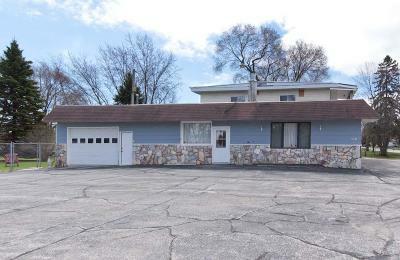 Detached garage with water and potential living quarters. Very large yard. A must see!